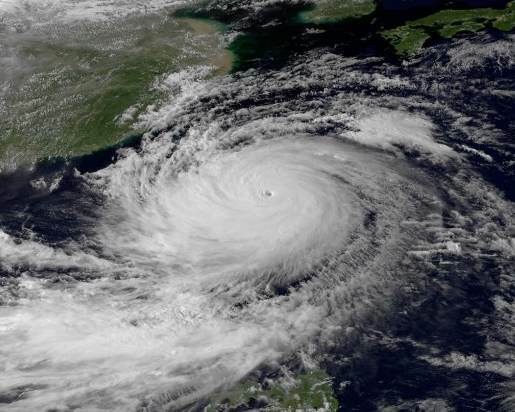 Swiss Re Corporate Solutions, the large primary commercial insurance arm of the global reinsurance player, has launched an innovative new parametric insurance product designed to protect Hong Kong businesses against business interruption caused by typhoon warning related shutdown. The innovative product, named Insur8, is designed to help businesses in Hong Kong that can face up to four shut downs per year due to a warning of a major typhoon approaching, whether it actually strikes the city or not. Hence this parametric risk transfer product is structured with a trigger based on the typhoon warning occurring, rather than on wind-speed or an actual parameter from the storm itself. It’s the first typhoon warning insurance product we’ve seen and is designed to indemnify Hong Kong businesses against loss of earnings or revenue volatility due to forced shut-downs and any additional operating costs resulting from a signal 8 or above typhoon warning being issued by the Hong Kong Observatory. “Typhoon warnings are a significant cause of economic loss and business disruption in Hong Kong. Official figures show there can be as many as four warnings each year, lasting an average of 13 hours each,” explained Dylan Bryant, CEO North Asia Swiss Re Corporate Solutions. “With Insur8, businesses can quickly access liquidity and manage earnings volatility for non-damage business interruption from typhoon warnings. Our innovative solution bridges longstanding protection gaps and provides access to fast and transparent claims payments,” Bryant continued. Typhoon warnings of this importance can lead to non-damage business interruption, due to having to shut down operations or suspend activities as weather conditions deteriorate. This damage occurs whether the storm is severe in its impact on the area or not. Reinsurance firm Swiss Re says that many existing property and business interruption insurance products leave gaps in coverage, which can result in substantial economic losses for businesses. The Swiss Re Institute estimates the overall economic impact of such a typhoon warning on Hong Kong’s GDP at HK$4.29 billion (USD 627 million) per day. The Insur8 product brings together Swiss Re Corporate Solutions’ parametric risk transfer techniques along with its non-damage business interruption tools and weather data modelling expertise. The product is designed to pay out quickly and transparently, with no need for loss investigation or adjudication, unlike a traditional insurance claim. 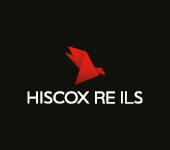 Insur8 will provide a pre-agreed pay-out amount based on the Hong Kong Observatory warning signal occurring, rather than any loss or damage being sustained to a businesses physical assets. These type of warnings are typically seen about four times a year, with 51 recorded signal 8+ typhoons since 1980 having hit Hong Kong. These typhoon 8 or higher warning signals can be in effect for an average of 13 hours, but the longest typhoon lasted 66 hours (Cyclone Mary in 1960). This is another example of parametric triggers being put to use to transfer natural catastrophe and weather risk away from businesses in an efficient manner. Using a pre-event trigger means that the insured can gain certainty when a pay-out will be due and provides an effective way for businesses to secure a source of risk capital that will compensate them when they are destined to face business interruption. This is another example of a parametric product which would be very attractive to ILS investors and it offers a glimpse at another useful protection business model that could be used around the world, based on pre-event warning parametrics. As parametric risk continues to increase in insurance and reinsurance markets, with products such as this likely to gain reasonable traction, it will be interesting to see whether enterprising ILS specialists look to replicate such efforts as part of the urge to get closer to the original risk.